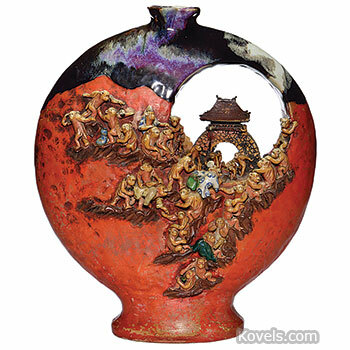 Sumida is a Japanese pottery that was made from about 1895 to 1941. 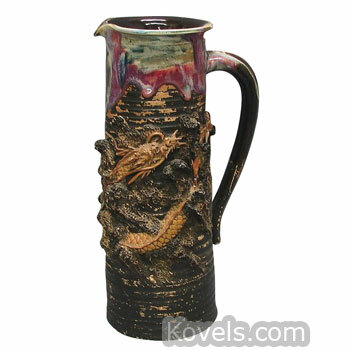 Pieces are usually everyday objects-vases, jardinieres, bowls, teapots, and decorative tiles. 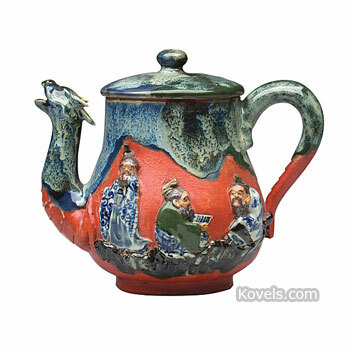 Most pieces have a very heavy orange-red, blue, brown, black, green, purple, or off-white glaze, with raised three-dimensional figures as decorations. 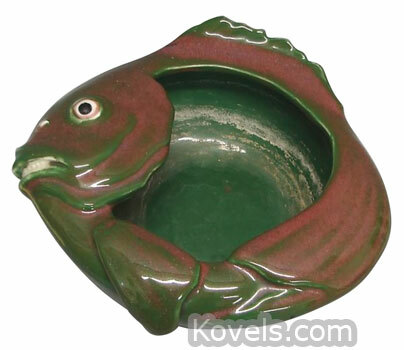 The unglazed part is painted red, green, black, or orange. 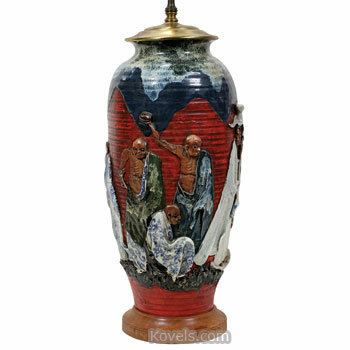 Sumida is sometimes called Sumida gawa, but true Sumida gawa is a softer pottery made in the early 1800s. 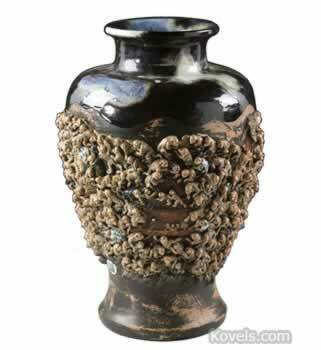 Sumida is also mistakenly called Poo Ware, supposedly after a similar pottery made by a Chinese potter named Poo You-she.